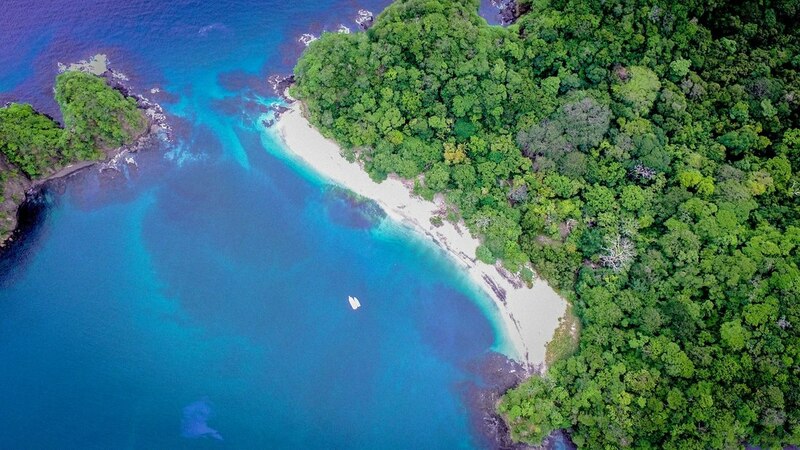 We invite you to join Marea Alta for an unforgettably enjoyable day on our Costa Rican waters. We will be both pleased a​​nd proud to share with you all of the culture, history and natural beauty which the Gulf of Papagayo has to offer. Our 24ft charter boat, with a preferred limit of five passengers plus crew, allows us to provide you with a more personalized and educational experience in an uncrowded and safety-conscious atmosphere. In other words, you won't get lost in the crowd, or be left behind on a deserted isle. Unless you want to, that is. As well, we are more than happy to provide special assistance and a caring, hand-holding reassurance to those who may require it. After all, we realize that not everyone is an offspring of Jacques Cousteau, or a pearl diver by vocation. We truly believe that everyone should be able to enjoy the magic and beauty of our unspoiled waters and hope to take you on the ocean adventure of a lifetime during your next visit or vacation to Guanacaste, Costa Rica. ​Buenas Dias, Costa Rica! Mornings here bring such tranquility and calm waters. With so many secluded beaches and snorkel sites along the coast, we want to show you our favourite locations. You will have a flexible itinerary to discover the bays at your own pace and a top notch crew to guide you on your adventures. A day may include cruising the coast to try and spot dolphins, rays, turtles, and whales (season depending), visiting secluded white sand beaches only accessible by boat, and exploring some secret snorkel sites. High tide allows us to visit the estuary where it is possible to spot many species of birds, and on occasion crocodiles. Visit the monkeys at Playa Jicaro, lounge and soak up the sun, or even test out the SubWing. Every day on the water is a unique and memorable experience and we hope to share its magic with you and yours. Spoil yourself with our Picnic Option! This can be added to your Ocean discovery tour and will give you an extra two hours of fun, plus a beautiful lunch on the beach. We will take you to a secluded beach where you can take a dip in the waters or snorkel while we prepare your private setup. Included: 2hrs added to your day, Full setup on the beach with comfortable seating, table, hammock, beach blanket, A hefty spread of cold picnic foods, Sangria or Vino with lunch, fully stocked cooler. Vegetarian-Vegan-Gluten free options available. PLEASE NOTE: If you are travelling as a couple or with a larger group, please contact us. We try our best to accommodate guests based on group size and preferences and can be somewhat flexible with rates. Pura Vida!